Welcome to the New Southern-Latino Table Dinner Party! Welcome to the first New Southern-Latino Table Dinner Party! 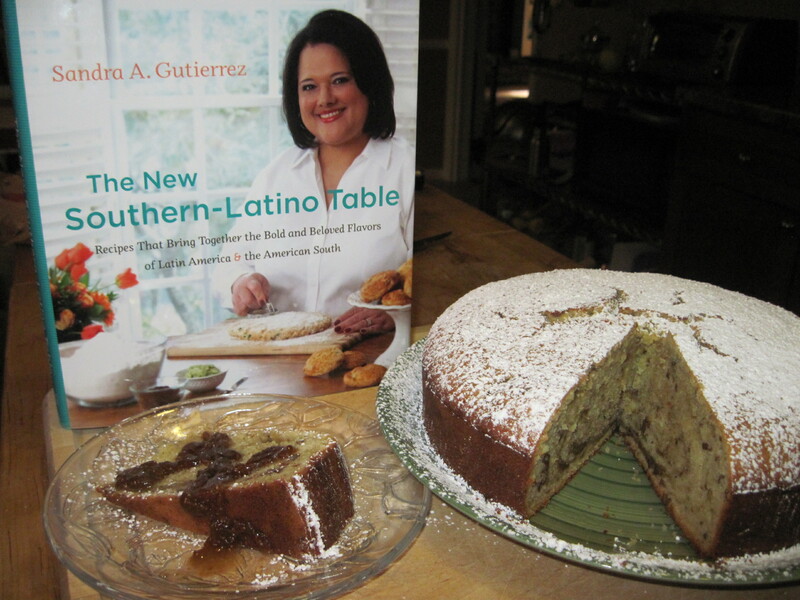 This virtual dinner party is the first of three such events we’ll be hosting to help celebrate the publication of The New Southern-Latino Table: Recipes That Bring Together the Bold and Beloved Flavors of Latin America and the American South, by Sandra A. Gutierrez. We asked nine food bloggers to cook, photograph, and blog about recipes from the book. Each of three dinner parties will feature posts from three bloggers who have prepared different dishes. Their entries—including the recipes from the book—will be crossposted in full here and at Sandra’s website, SandrasKitchenStudio.com, and we’ll link to the sites where the posts originally appeared so you can go explore those sites and get to know some food bloggers that may be new to you. Peaches, like Betty White after Rose Nylund, are destined to be typecast in sweet, jovial roles of buckles, pies, crumbles, and cobblers. Soft pinks and yellows and fuzzies keep them securely in the sweet-ending desserts category. Then a cross-over recipe happens, putting peaches at the center of something entirely savory, and you end up with Betty White after Saturday Night Live. Initially, it’s all a little disorienting. Peaches and pimientos? (What was that she just said about a dusty muffin?!) Where’s the cinnamon? Where’s the sugar? But in the first bite, it makes perfect sense and you dig into it without hesitation just the way you guffaw at every unbelievable line Betty delivered on the stage of Studio 6A, because she was meant to be there with those writers, and benchmark comedians, and even the heaping servings of lewd after all these years. This salsa is like that (minus the lewdness). Peaches march right in with enough sass to boss around fiery jalapenos and assertive raw red onions. They wear speckles of cilantro and lime zest like they’re showing the rest of us how to accessorize. And they tuck those sweet, velvety bits of pimiento right under their wings, and stare back at you as if to say, “Told you so!” when your palate unexpectedly remarks, “Obviously!” to the pairing. Her writing and recipes detail how both Latin American and American Southern cuisines have been influenced by the same cultures throughout history and share staple ingredients. These pages are educational and inspiring, which is apropos for an author who makes her living as a journalist, food writer, and culinary instructor. Her ideas get you going, nudging you to fiddle around the kitchen in a brand new way. The peach salsa, for example, goes naturally well with tortilla chips as a snack to kick off a party. But it also makes a completely satisfying lunch when it tumbles over warm rice smoldering a little from chipotle chile powder. Tonight is the first in a series of three dinner parties celebrating The New Southern-Latino Table . 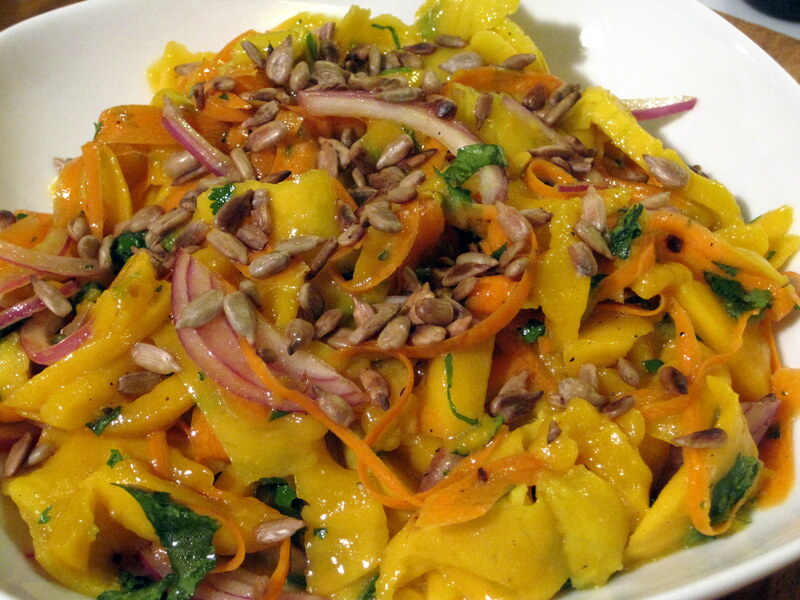 Dropping by will give you a sampling of dishes that emerged from a long-established rapport of cultures. Learn more about Sandra here http://sandraskitchenstudio.com/, buy her book here , and join us for these virtual dinners. I promise there will be no incongruous surprises—like Rose Nylund in a Latin dance dress—only great new recipes that taste like they were always meant to be. In a medium bowl, combine the peaches, onions, cilantro, jalapeño, pimientos, and lime zest. Add the lime juice and season with salt and pepper. Let the salsa sit at room temperature for 10 minutes before serving to allow the flavors to blend, or cover and chill until ready to use (for up to 24 hours). Makes 2 1/2 cups. A few years ago, I spent a tortured afternoon trying to dazzle my husband by making a linzer torte for his birthday. My optimism dimmed as the dough got increasingly messy and melty, and I was downright angry by the time I gave up on creating its classic lattice lid. While he dutifully ate it, I decided that day that there are some things that just aren’t worth making at home. At least by me in my home. Things that fall in this category often aren’t terribly complex, but I don’t lose sleep over investing my trust, my dollars and the ease of not messing my kitchen to those who have a demonstrated knack for making things I like to have brought to me on a plate I don’t have to wash.
Chicken enchiladas used to fall into this category. I never imagined them to be especially difficult to prepare — and now that I’ve done it, I can vouch that it’s really pretty simple. Perhaps I was intimidated by all that cheese — which, really, isn’t that much per enchilada. It could have been any number of excuses, but they’re all blown now that I made and we all thoroughly enjoyed Sandra Gutierrez’s Chicken Enchiladas with Tomatillo Sauce from her new book, The New Southern-Latino Table (University of North Carolina Press). 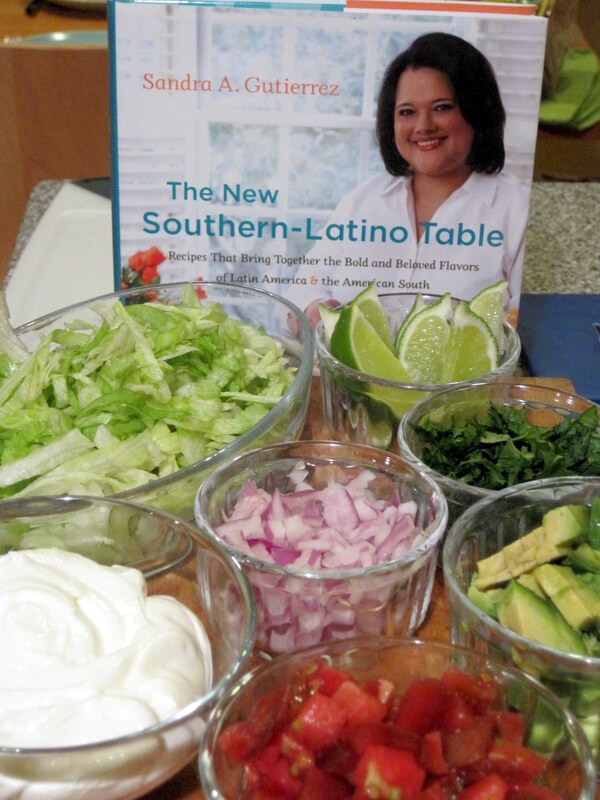 I was fortunate to be among a group of bloggers invited to preview and write about her new book as part of the “Southern-Latino Dinner Party.” While I made dinner, others made appetizers and desserts. You can find all of the special event recipes – today, next Monday and Sept. 26 – at http://sandraskitchenstudio.com/ and http://uncpressblog.wpengine.com/. The ingredients for these tasty enchiladas are easy to gather and the recipe is simple to follow. My only quibble is that, when a recipe starts by telling me to preheat my oven, I think it’s reasonable to assume that dinner is soon to follow. In fact, long after the oven was cranked and ready, I was still simmering tomatillos and hadn’t rolled a single chicken-filled tortilla. In the interest of time, I opted for a few shortcuts, such as zapping the tomatillo sauce with my immersion blender instead of waiting for it to cool and pouring it into a standard blender. Next time I’ll even make this ahead. I also used a reliably tasty roasted chicken from my neighborhood market, which yielded the needed six cups of shredded chicken. Regrettably, I did make one tweak that I would recommend against. We’re weenies when it comes to chilies, but the otherwise mild flavors of this dish can stand up to the four serranos and one jalapeño Sandra includes. We cut back and the result, while delicious, lacked zip. Be bold and trust her list. While you’re at it, have a few extra tortillas on hand, too. I measured my filling to make sure it made a dozen enchiladas but actually wound up with three bonus rolls. I baked them in a small dish with sauce and cheese, then popped them in the freezer to enjoy another day. We barely made it through the full batch before I retrieved the frozen ones. Trust me, you won’t be able to resist them, either. I made another of Sandra’s recipes, Green Mango Salad with Pepitas, to serve with the enchiladas but unfortunately cannot quote recipe. It’s an even tastier version of what she made when I first met her at a class last summer and blogged about it here. If the enchiladas did not provide sufficient temptation to get her book, this beautiful salad should seal the deal. Preheat the oven to 375°F. Butter a 13x9x2 baking dish. In a large Dutch oven, combine the tomatillos, onion, garlic, water, chiles, and jalapeños; bring to a simmer and cook until the tomatillos have popped, about 15 minutes. Cool for 10 minutes. Working in batches, transfer the tomatillo mixture and cilantro to a blender (or food processor) and blend until smooth; season sauce with salt and pepper. Return the sauce to the pan and simmer, uncovered, until it has thickened, about 20 minutes. Place 1/2 cup of the tomatillo sauce in the bottom of the baking dish. Working with 1 tortilla at a time, dip the tortillas into the warm sauce in the pan. Place 1/2 cup of the chicken on the tortillas, roll them up, and place them seam side down, snuggly together, in the baking dish. 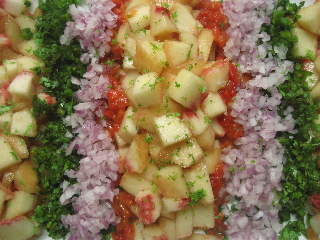 Cover with the remaining tomatillo sauce; sprinkle with the cheese. Bake for 30-35 minutes, or until the sauce is bubbly and the cheese has melted. Serve hot, with garnishes. Gentle Readers, The Practical Cook adores fusion cuisine, and what could possibly be better than the heady blend of Southern food and Latin food? (Answer, nothing.) 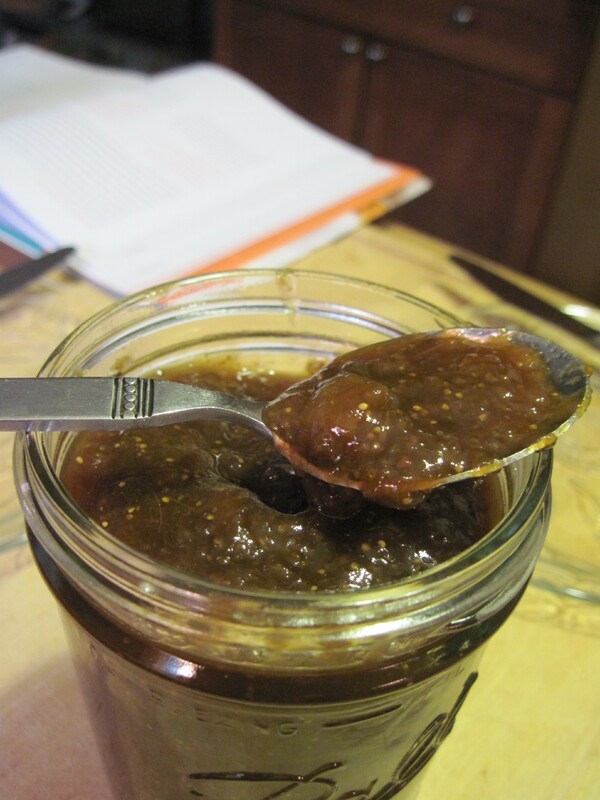 Better still, the recipe being reviewed involves figs, which I love, and which come from a family fig tree. Roots, new and old, are everything in cooking. Prepping for Fig Cake from The New Southern-Latino Table Photo © The Practical Cook Blog (http://www.thepracticalcookblog.com) | @practicalcook. First, the cookbook from whence this recipe comes, The New Southern-Latino Table by Sandra Gutierrez is inspired and inspiring. I love the opening where she discusses her own journey down a blended path, and some of the interesting connections between the foodways of the South and her native Guatemala. And lots of very practical cooking tips are wedged in these pages, and you know I love that. Sometimes it takes someone learning a cuisine from scratch to break old dogs of bad habits. Pecan Rum Cake with Figs Photo © The Practical Cook Blog (http://www.thepracticalcookblog.com) | @practicalcook. So I spent an afternoon perfuming my house with the smells of allspice, figs, and rum. Not a bad pursuit. This recipe completes a wonderful virtual meal. 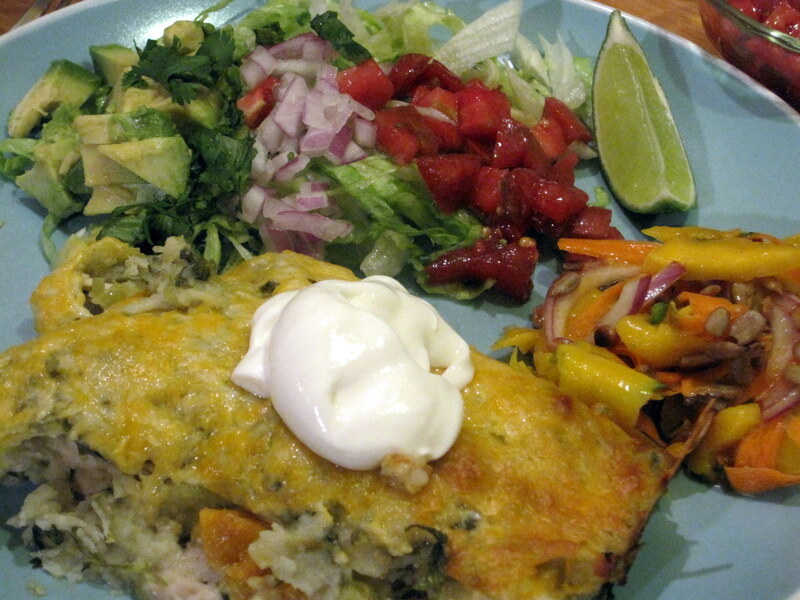 Visit my fellow bloggers Tara Mataraza Desmond (Crumbs on My Keyboard) for starters with Peach Salsa, and Jill Warren Lucas (Eating My Words) for the main Chicken Enchiladas with Tomatillo Sauce. So brew a strong cup of coffee, and let’s finish this meal. Though I’m notorious for meddling with recipes, to the point that the Eldest Practical Cook Junior noted what a difference it was that I was following one exactly, I pretty much stuck to the letter of the law here. Except (sorry, couldn’t help it) that I don’t own a 10-inch springform, so I baked in a 9-inch, which needed a little more time at a little lower heat to finish. Also, I toasted the pecans briefly in the microwave before chopping to heighten their flavor. Though the recipe implies stand mixer, I successfully used my trusty hand-held 3-speed electric mixer. Preheat the oven to 350° F. Butter the bottom and sides of a 10-inch springform pan, line the bottom with parchment paper, and butter the paper. Sift the flour, cornstarch, baking powder, allspice, and salt into a large bowl; set aside. 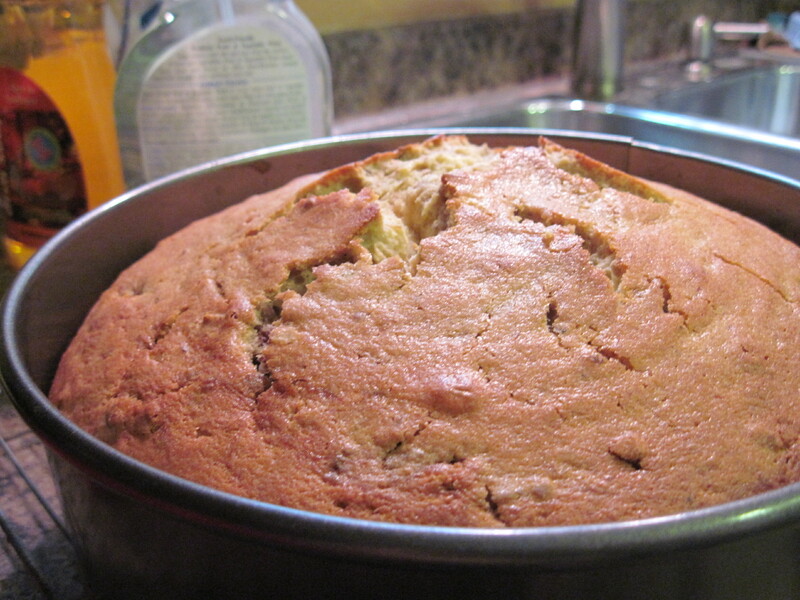 Using an electric mixer, beat the butter and sugar on high speed for 2-3 minutes, or until light and fluffy. 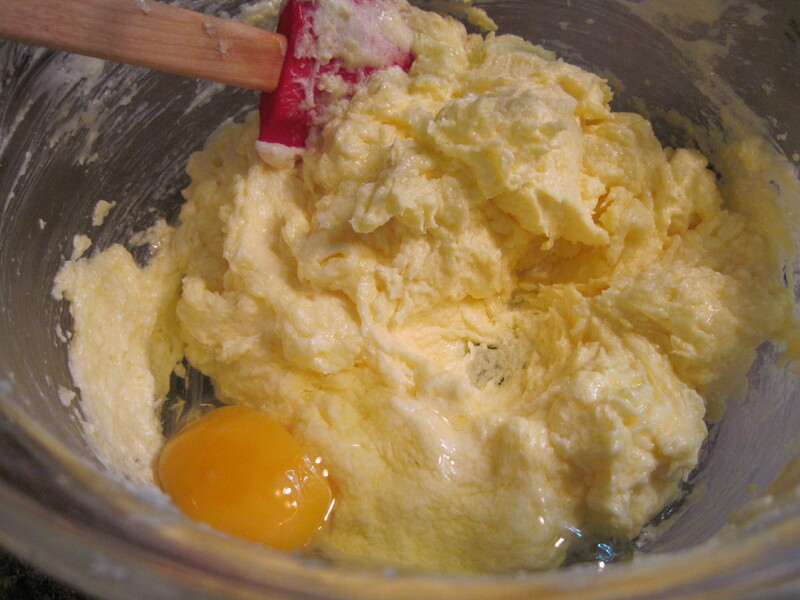 Add the eggs one at a time, and blend thoroughly. Farm-fresh eggs will give you great color! Photo © The Practical Cook Blog (http://www.thepracticalcookblog.com) | @practicalcook. Add the eggs, one at a time, beating well after each addition, stopping to scrape the sides of the bowl. Turn the mixer to low and add the dry ingredients; blend until well incorporated, stopping occasionally to scrape the sides of the bowl. Add the rum and vanilla and mix until combined. 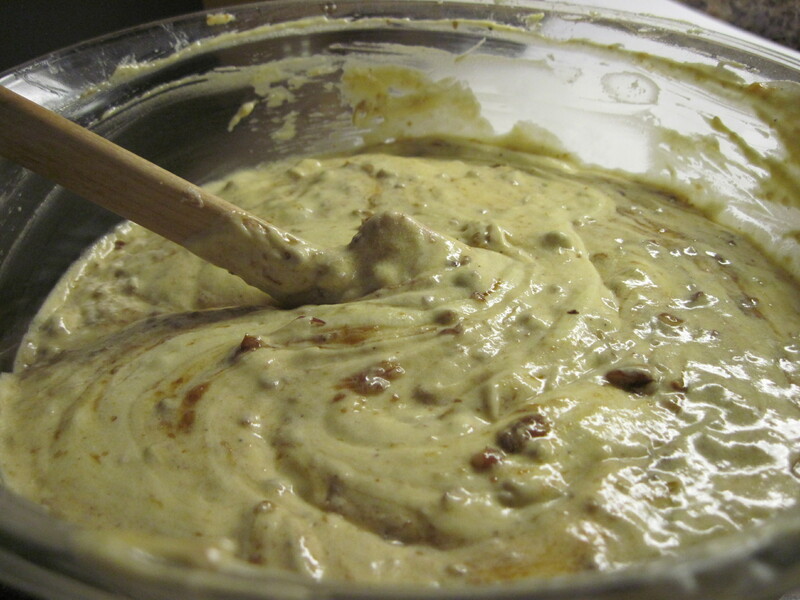 Add the mayonnaise and beat for 30 seconds, or until the mixture is smooth. The batter will be thick and smooth. Photo © The Practical Cook Blog (http://www.thepracticalcookblog.com) | @practicalcook. Stir in the pecans and preserves. Pour the batter into the prepared pan and bake for 50-55 minutes, or until a toothpick inserted in the center of the cake comes out clean and the cake begins to pull away from the sides of the pan. Bake until the cake is golden brown. If it cracks, fear not. It eats just as well and sugar covers all flaws.Photo © The Practical Cook Blog (http://www.thepracticalcookblog.com) | @practicalcook. Remove from the oven and cool on a wire rack for 10 minutes; remove the sides of the pan and cool completely. Invert the cake to remove the bottom of the pan and the parchment and transfer it, right side up, onto a platter; sprinkle liberally with confectioners’ sugar. Success! 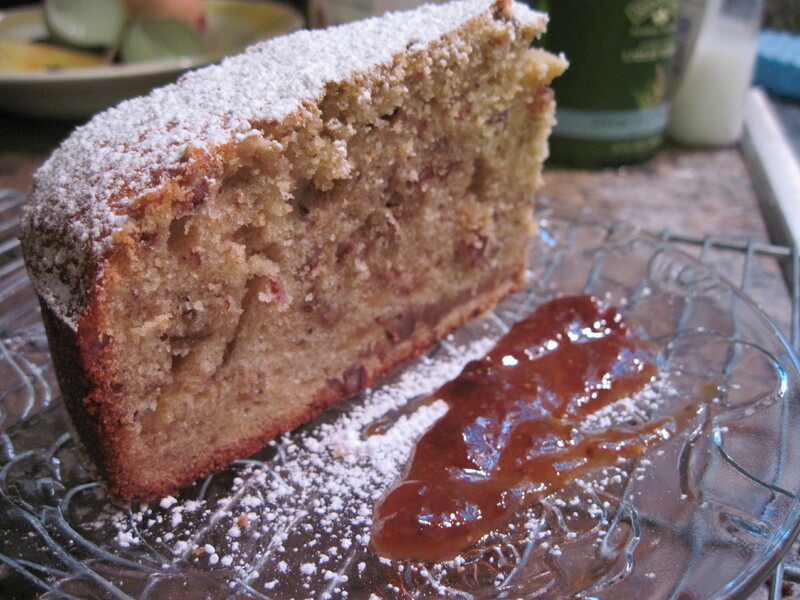 The Pecan Rum Cake with Figs is beautiful and delicious. Photo © The Practical Cook Blog (http://www.thepracticalcookblog.com) | @practicalcook. Because I only had 2 pounds of figs, I made a 2/3 batch of this recipe. Worked perfectly. Also, I used dark brown sugar here. For the record, I used my trusty Thermapen to test the temp, and my immersion blender to smooth the mixture out at the end. 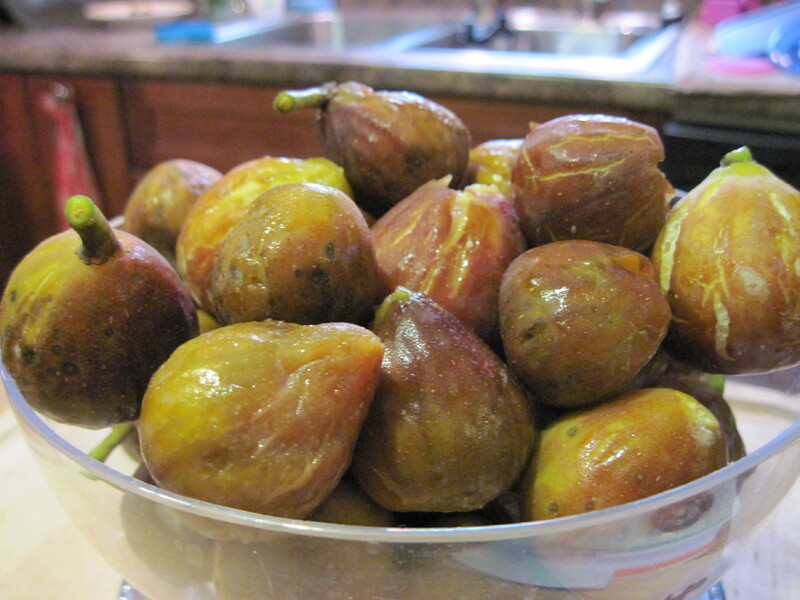 Beautiful fresh figs go on the kitchen scale. Photo © The Practical Cook Blog (http://www.thepracticalcookblog.com) | @practicalcook. Bubble, bubble syrup pot. Photo © The Practical Cook Blog (http://www.thepracticalcookblog.com) | @practicalcook. Using a small paring knife, cut a small X in the bottom of each fig; set aside. In a large, heavy-bottomed saucepan, combine the piloncillo, cinnamon, and 3 cups of water; cook over medium heat, breaking up the piloncillo as the mixture heats. 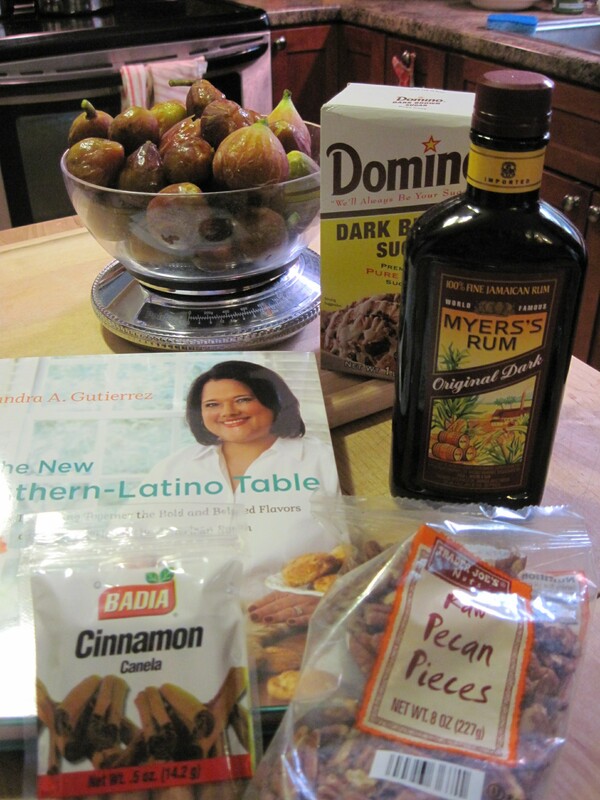 When the piloncillo has melted (about 8-10 minutes), add the figs. Add the figs to the syrup. Photo © The Practical Cook Blog (http://www.thepracticalcookblog.com) | @practicalcook. Increase the heat to medium-high and bring the mixture to a boil. Reduce the heat to medium; cook, uncovered, for 18-20 minutes, or until the syrup registers 210° F on a candy thermometer (it will be bubbly and frothy). If the bubbles are rising too quickly, reduce the heat a bit. 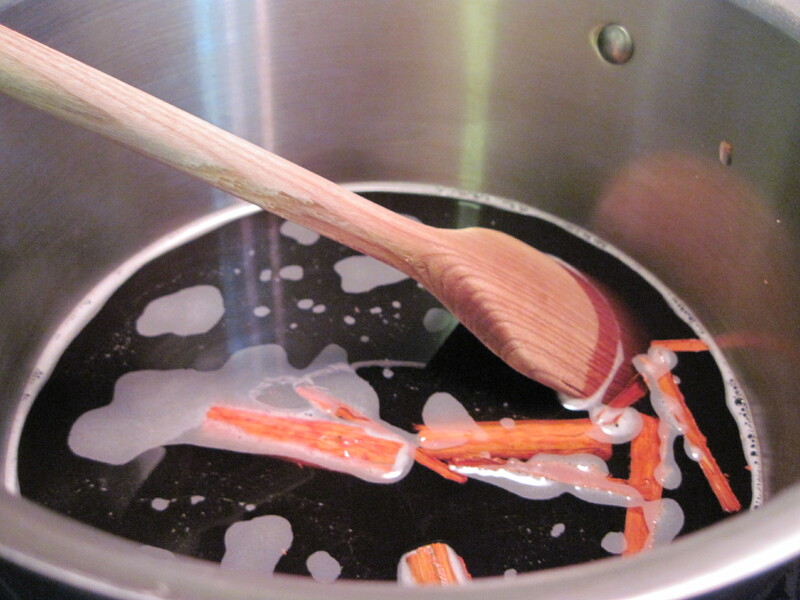 When the syrup reaches the proper temperature, reduce the heat and simmer until the syrup is thick, about 10-15 minutes; remove from the heat. 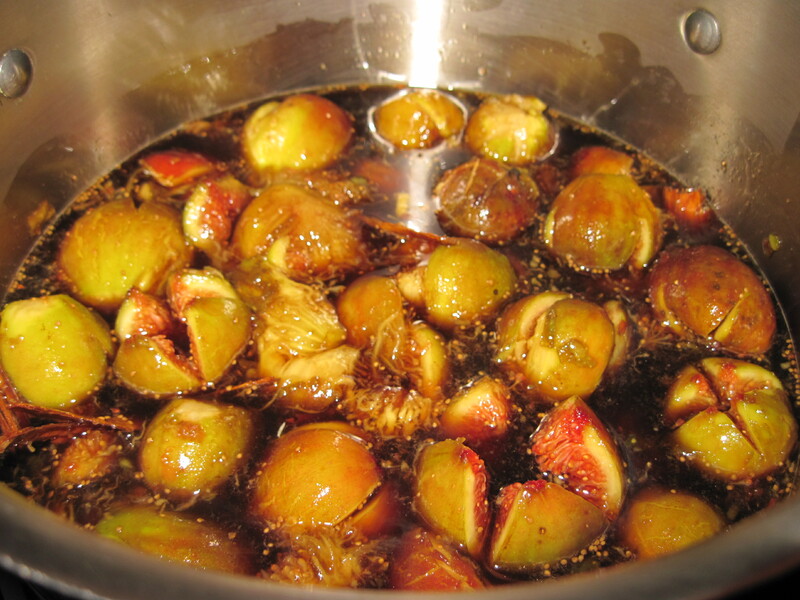 When the figs are cool, remove them from the syrup, chop liberally (or process until almost smooth), and return to the syrup. Transfer the mixture to a clean container. Store well covered in the refrigerator for up to 1 month. Fig Preserves: A Thing of Beauty HomemadePhoto © The Practical Cook Blog (http://www.thepracticalcookblog.com) | @practicalcook. Don’t let the fact that this includes a secondary recipe throw you. You can substitute store-bought, but if you’ve got access to figs, it would behoove you to preserve them, and the preserves are the simplest of the two recipes. Overall, I enjoyed the cake immensely. It has a strong rum flavor, so be forewarned if that’s not your thing. 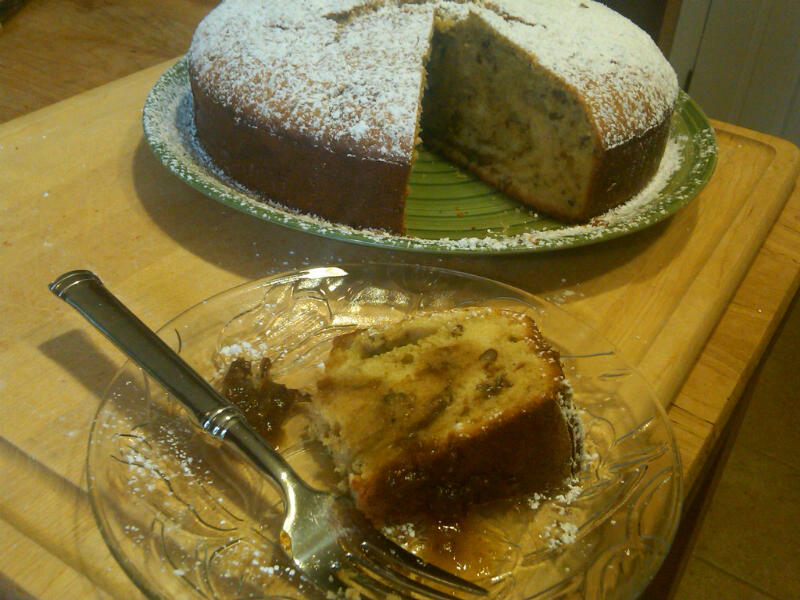 Pecan Rum Cake with Figs, Sliced and Ready. Photo © The Practical Cook Blog (http://www.thepracticalcookblog.com) | @practicalcook. Additionally, this is not a cookbook for beginners, you need to know some basics. That said, The Practical Cooks Junior had several altercations during the making of this cake, but declared truce in the end and called this cake delicious. Point being, you can start and stop the process and still bake a great cake. On a personal note, this one goes out to Blended Familia, who defines this new fusion of cuisines and lives for me in my real life. Thank you. Are you a fan of Southern-Latino fusion? Post a comment, or Tweet! All recipes from The New Southern-Latino Table: Recipes that Bring Together the Bold and Beloved Flavors of Latin America and the American South. Copyright © 2011 by Sandra A. Gutierrez.